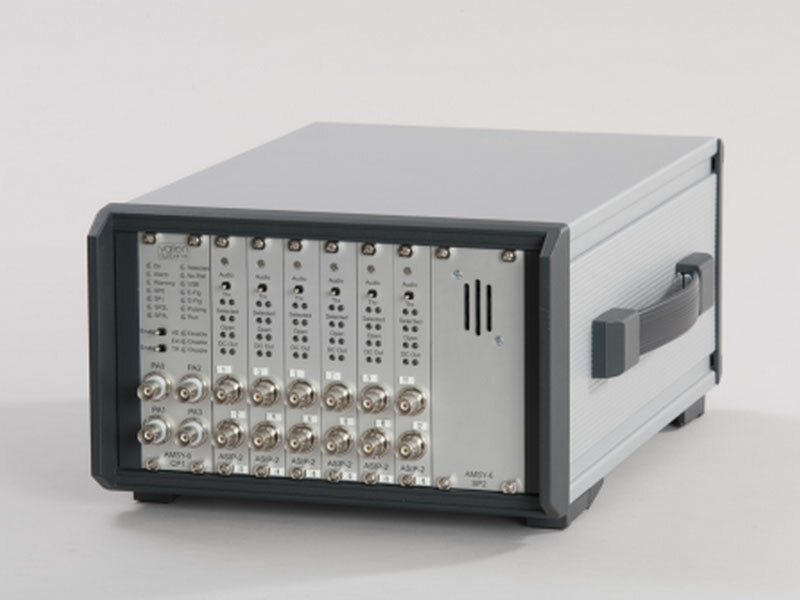 The AMSY-6 is a fully digital multi-channel (2 to 248 channels) AE-measurement system. 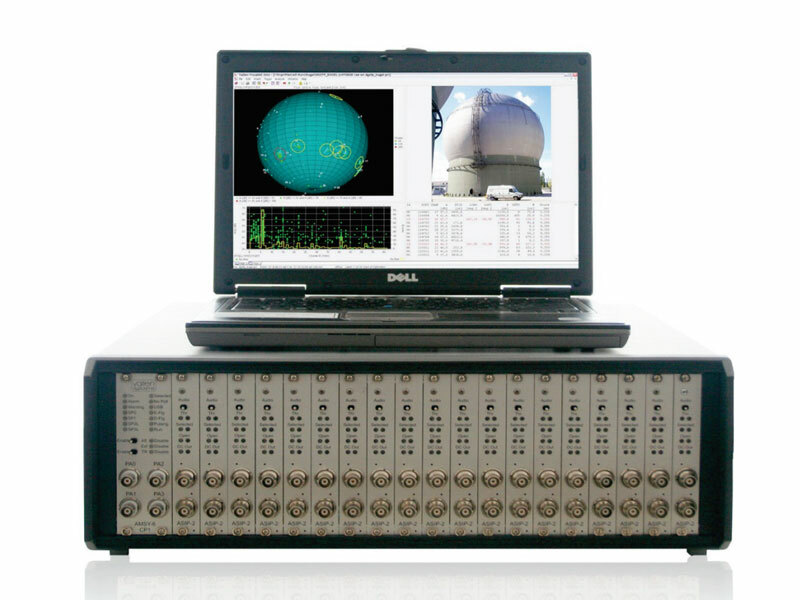 It consists of parallel measurement channels and the system front end software which runs on an external PC. A measurement channel consists of an AE-sensor, preamplifier and one channel of an ASIP-2 (dual channel acoustic signal processor). 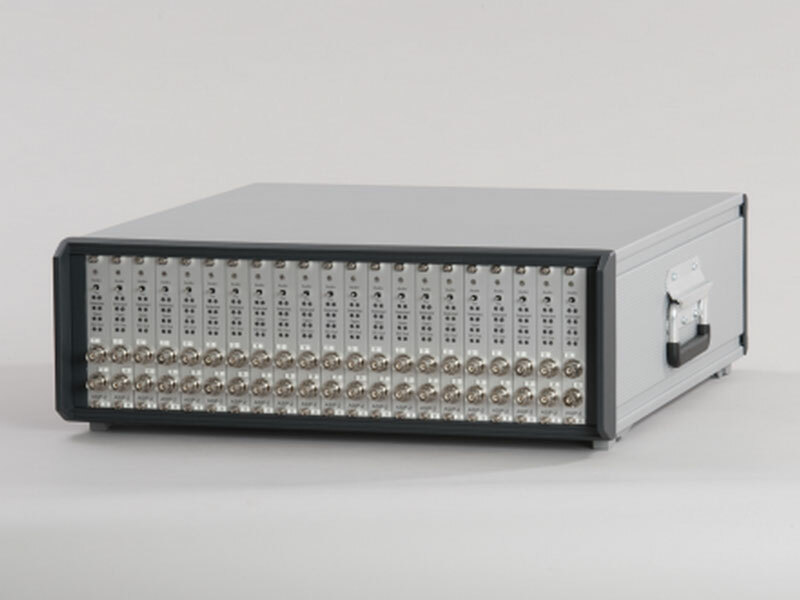 Each channel combines an analogue measurement section and a digital signal processing unit. AE-features, such as time of the first threshold crossing (arrival time), risetime, duration, peak amplitude, energy and counts, are extracted by the ASIP-2. In parallel to the feature extraction, the complete waveform can be recorded to an optional transient recorder module. data of external parametric sensors which are measured at regular time intervals. Parametric data is stored with every hit and at user specified time intervals. The system front-end software runs on a PC and controls data acquisition, storage of data and is capable of analyzing data online as well as offline.